It was a cloudy day in Lynchburg, yet Mary Shumate decided to take her family to Memorial Avenue where they gathered in the sideway with blankets and two chairs to watch the Lynchburg Christmas parade. As a firefighter, Shumate rarely participates in the event, but she was able to this year. 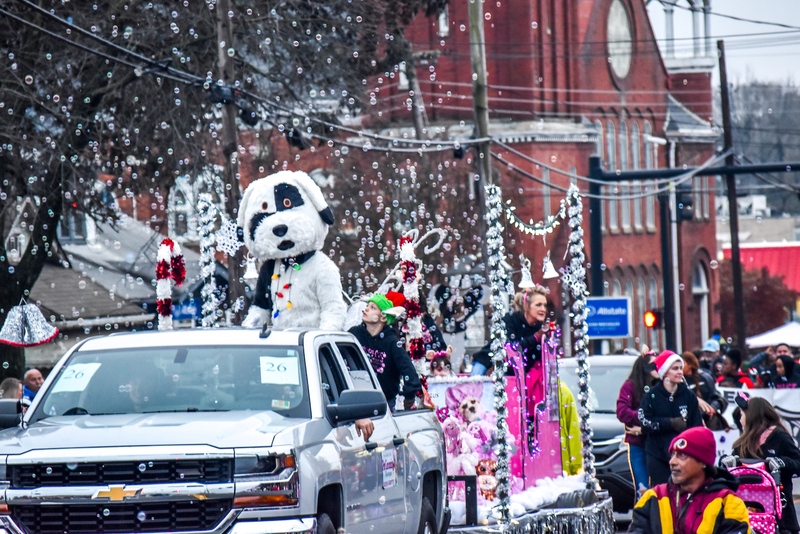 The first Lynchburg Christmas parade was hosted in 1959 by the Lynchburg Jaycees, back when the route went through downtown Lynchburg, but as the city grew so did the parade. Now 60 years later, the community enjoys 90 floats parading down Memorial Avenue hosted by the Central Virginia Business Coalition. SING — Heritage Baptist Church’s float carried children as they sang through the parade. There is space for everybody in the parade, from business to clowns, from Kuumba (traditional African dance) dancers to veterans and the traditional marching bands. 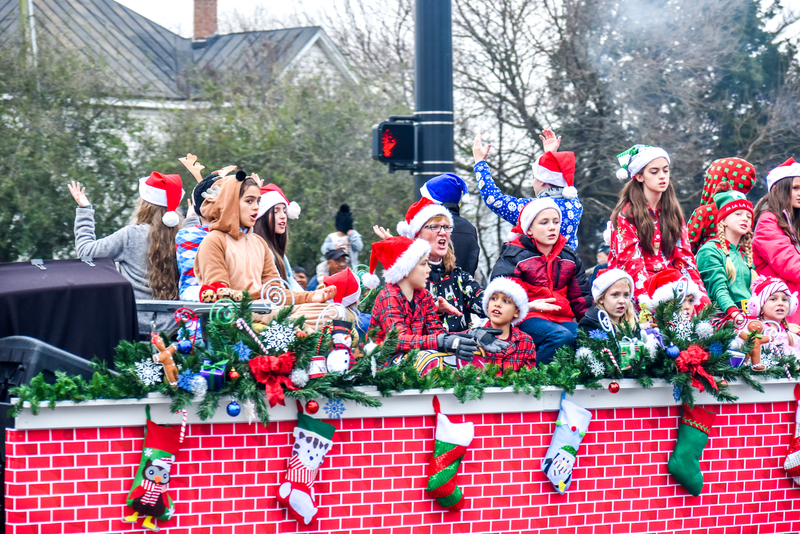 For Alto, the parade is about having the community enjoying an event in which parents can bring their kids for free and people of any age can experience the holiday fun. Alto said the community has changed a lot since the days of the first parade, but the parade is one of the things that keeps the essence of its purpose during the holidays, to bring a sense of togetherness. WHOOF — Bubbles surround Steph’s Bubbles and Bow’s float.